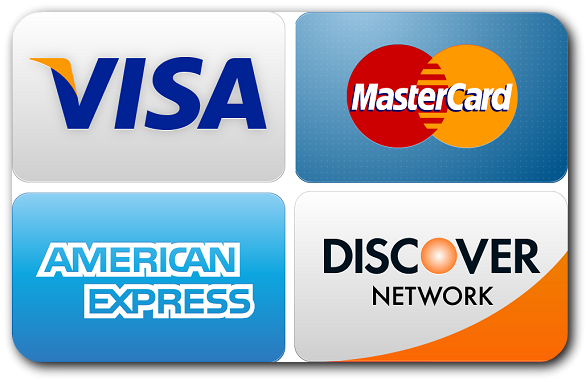 At American Pool Service, we accept all types of payments: money-order, personal checks and credit cards! We also accept monthly payments (Please arrange with our office for payment plans). PayPal payments or phone "Cash App" are accepted too. An additional charge of 3.5% will be applied when using these options. Please contact us for more information. A- Pay at sight upon completion of work, by informing service technician. An additional charge of 3.0% will be applied when using this option. B- Call our office to process your payment and the receipt will be emailed. An additional charge of 3.5% will be applied when using this option. Payment is due in full upon completion of the job/work. A down-payment maybe required in certain proposals. A contract maybe required for certain projects. Returned payment or ISF is subject to an additional bank processing fee of $30. A late fee will be assessed/incurred/charged to the account if payment is not received within 2 weeks of completion of the service. If mailing payment, please enclose check or money order along with a copy of invoice left at job sight. Write your information on check or money order and the service that was completed. Make sure you sign your check. Please Do Not mail cash.